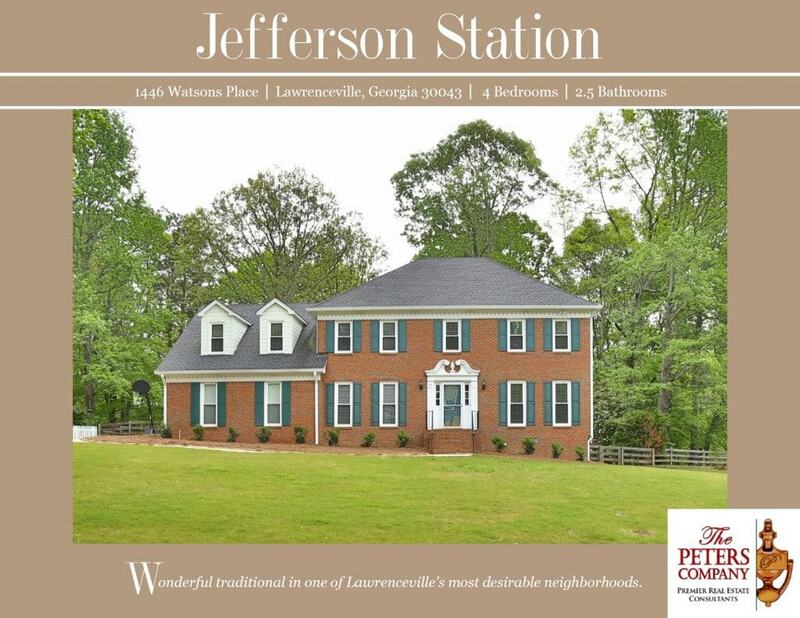 Just Listed :: Beautiful Traditional in Jefferson Station! Welcome home! Nestled in the popular Jefferson Station neighborhood, this is just the home you’ve been looking for! The flowing floor plan, custom features, and charming character will never go out of style. The close proximity to I-85, GA-316, and Sugarloaf Parkway makes this home convenient to and from any direction. You’ll also be close to Discover Mills, The Gwinnett Arena, and many other well-loved restaurants and shopping spots! · Kitchen features ample cabinet and counter space as well as a spacious breakfast area with bay window. · Large family room boasts a cozy gas starter fireplace with brick surround. · Formal living room provides additional living space. · Master suite is a true retreat including dual walk-in closets and a private master bathroom with double vanity, garden tub, and separate shower. · A spacious bonus room off the master is ideal for a media room, playroom, or home office. It has rear stairs leading to the kitchen. · Brand new deck overlooks the fully fenced backyard with fire pit perfect for roasting s’mores. · Wonderful location that’s convenient to interstates, shopping, and restaurants. ← Just Listed :: Amazing John Wieland Resale in Alpharetta!